Because the Kola Peninsula is situated above the Polar circle our summer seasons is fascinating and consists of several parts. During spring (only one month) the snow is melting and immediately the vegetation colours to fresh green. You can see the nature growing. Everywhere is a lot of water, high levels in lakes and rivers with beautiful waterfalls. From the middle of May to the middle of July the sun don't want to set. We call it our white nights, midsummer night or polar day. The midnight sun will shine 24 hours per day and circles round our heads. It feels very strange when you walk outside in the middle of the night, birds are singing and sometimes you can see the sun and moon close together. July and August are the summer months. The midnight sun is shining and the temperatures can rise up to 28 degrees Celsius. 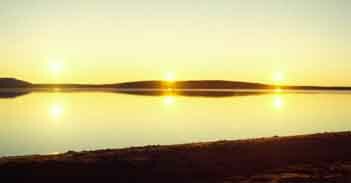 One can often bathe in the lakes day and night, as the midnight sun shines round the clock during the Polar day. The northern autumn is in late August and the beginning of September and takes only three weeks. The trees will colour into yellow and gold and the ground vegetation into deep red. It looks like the Alaska Indian summer. In the end of September beginning of October the nature is ready for the coming winter. It is freezing during the days, the lakes get frozen and snow is starting to fall. Soon our landscape will be white like a fairytale. 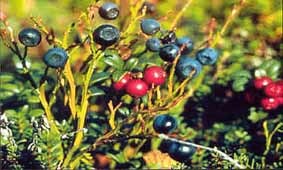 It is always very beautiful in the North, but nevertheless, the favorite time for the animals and us is August and September, when the woods and tundra are covered with a carpet of berries and mushrooms. We go out for gathering our vitamins, which we need in our long winter. 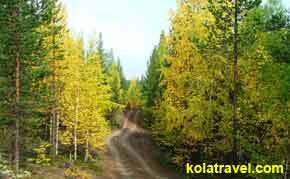 The Kola Peninsula: an amazing land, filled with miracles.